« What is The Journey Really About? Most of us who are involved in the discussion of “missional” church by now have realized that the term does not have a technical definition. I have heard it described as everything from a “missions-oriented” church, to a church with “flat leadership”, to “organic church”, to being somehow associated with “emergent” (whatever that means). Then there are the definitions that attach to the outward form, like house churches or groups no larger than 120. Who knows. 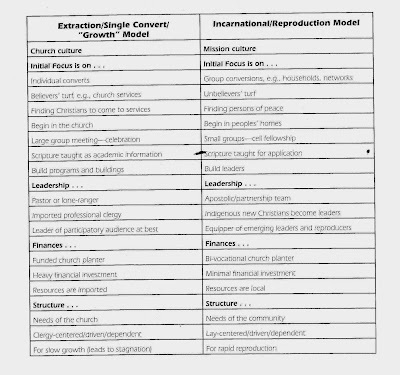 It’s interesting that he doesn’t really use the term “missional” in the illustration, but “mission culture”. When I look at the chart, I see mostly characteristics that reflect a leadership culture rather than a philosophy of church. All of the items, like being “lay-centered”, “bi-vocational”, “apostolic”, “build leaders”, and “rapid reproduction”, are in my experience ultimately determined not by strategy, by by the culture of the core leadership. I personally have been bothered by what seems to be an attempt to market countless different flavors of “church” by using the word “missional”…as if it somehow makes everything a church is doing relevant and “cool”. Are we (The Journey) a “missional community”? I guess I would leave that to others to decide. 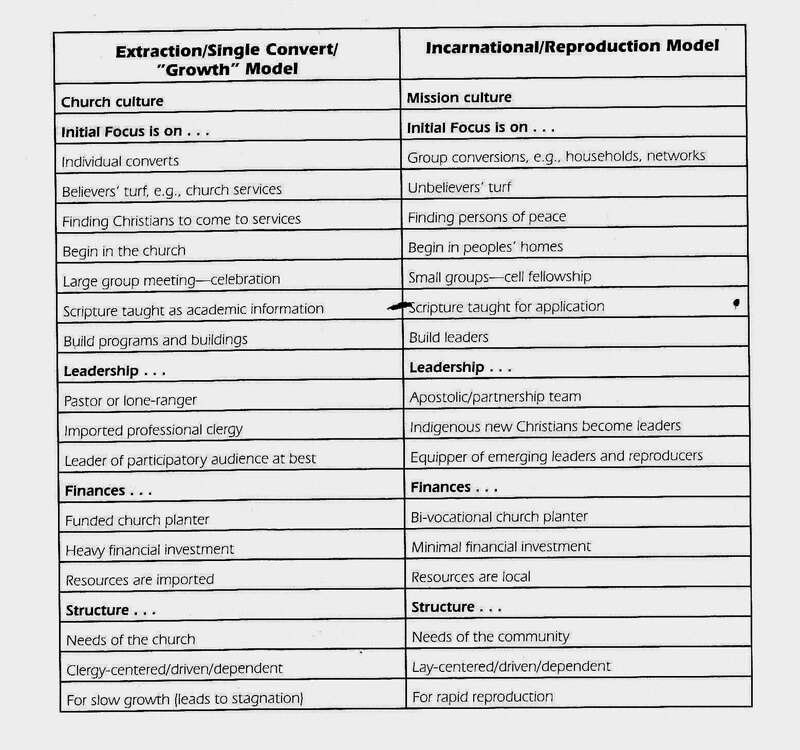 I see many of the factors in the chart above in our culture, and I know that they are intentional – but not because they are what someone called “missional”, rather because they are aligned with how Jesus began to build His Church. I think that’s a good enough reason to do them.